Nissia Holidays is a family-run, independent holiday company specialising in the quieter side of Greece. We offer villas, apartments and hotels in Halki, Tilos, and the unspoilt Greek islands. Part of the Dodecanese archipelago, Halki and Tilos nestle in the south-eastern corner of the Aegean, close to the island of Rhodes. These beautiful islands are famed for their local hospitality, which is as warm as the Greek sunshine. With an idyllic climate, a scattering of sleepy villages where time seems to have stood still, and beautiful beaches lapped by azure waters, they offer a pace of life that defies the 21st century. Nissia Holidays Ltd. is registered in England and Wales, company No. 05979851, and was formed in October 2006 to offer a new approach to holidays on the idyllic and unspoilt small Greek island of Halki. We have over thirty years combined experience of Halki and the surrounding islands and in recent years had been the representatives of Laskarina Holidays in the region. Following Laskarina’s decision to withdraw from the market at the end of the 2006 season, Nissia Holidays was created to respond to the demand from regular & newly-enchanted visitors to the island for the unique holidays on offer on Halki to be available for the 2007 season and beyond. For the start of the 2010 season Nissia Holidays expanded to take over the operations of Little Island Holidays on Tilos. Meni has been living & working on near-by Rhodes for over a quarter of a century, all of that time in the holiday & leisure industry, and during that time she has built up valuable relationships with all of the companies & individuals needed to ensure that Nissia Holidays can rely on unparalleled local support to deliver the most stress & problem free holidays on Halki and Tilos. Whether that’s dealing with airport officials, transfer companies, boat captains or just about anyone else involved in making sure you’re holiday has all it needs and more then Meni always knows the right person to ask to make things happen. 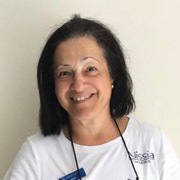 As a Greek-Australian she is also fiercely proud of her Hellenic roots so above all else she is determined that every visitor to the islands is able to enjoy the unspoilt and picturesque island to its full potential and then spread the word when the holiday is over for another year. Triantafyllos, or Daffy as most guests like to call him, comes from a strong hospitality background. Working alongside Meni from a young age and helping with operations for Laskarina Holidays, he is service minded and always happy to help the guests have an amazing and relaxing holiday in Halki and Tilos. He holds a BSc in Computer Sciences from Liverpool John Moores university and has various qualifications from the travel industry. 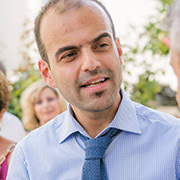 In 2015 he became the reservations manager for Nissia Holidays. Ann Fowls is an ex-Laskarina representative who we are proud to welcome to the Nissia team. Ann is responsible for the operations of our Steyning office. Our passionate Tilos representative, Ian is friendly and always eager to assist our guests for Tilos. You will find him at Rhodes airport on Wednesdays and then on his beloved island of Tilos taking good care of our Tilos guests or assisting the boats to dock down at the harbour! Steve started working with Nissia in 2017, striking up an instant rapport with Meni, Daffy and Blendi. 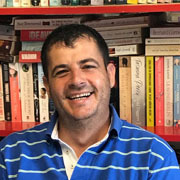 Having had his own businesses and working in a corporate environment, he likes to see things from a customer perspective and he was indeed a Nissia client before becoming a Halki resident. 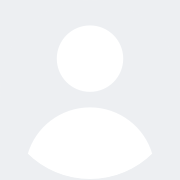 He is passionate about customer service and loves Halki. He is a welcome addition to the team, where locally Blendi and he are known as Black and Decker! 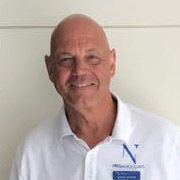 With a number of years in the hospitality industry in Rhodes, working in Hotels and other tourist based establishments, Blendi joined Nissia in 2013. He brought with him a wealth of knowledge, drive and commitment. 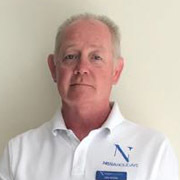 His enthusiasm and welcome are infectious and he is now an intrinsic part of the Nissia team.